Cella was designed by Peer Clahsen in 1979 for Naef Toys, Switzerland. The Cella building set is a classic Naef sculptural wooden toy puzzle. 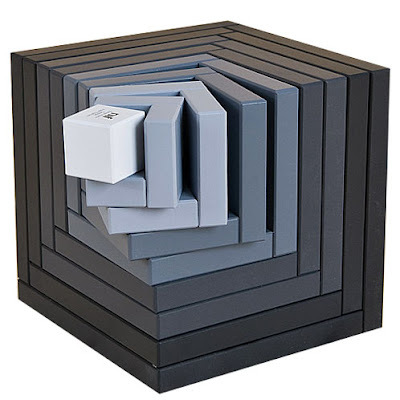 It is comprised of a series of cubes that nest into each other and can be taken apart and rearranged to form imaginary buildings, outlandish forms and perhaps, an op art masterpiece. There are nine handmade cubes that are colored using non-toxic paints. 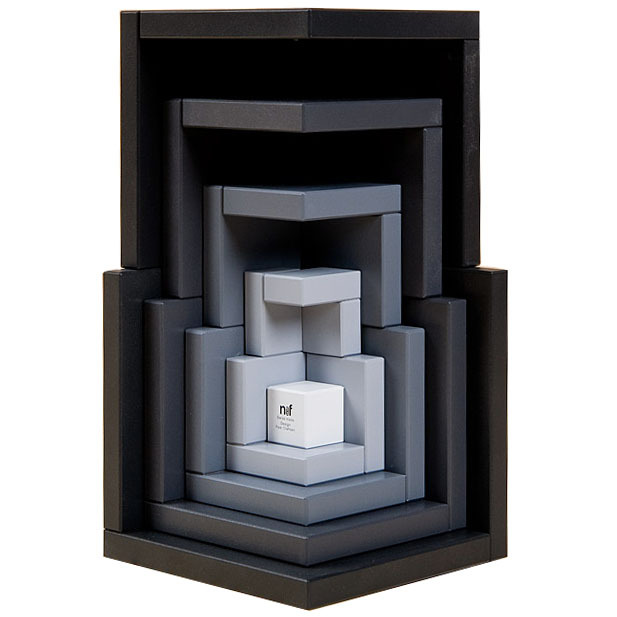 One could consider the Cella cubes as a way to open the pandora's box of a child's or adult's imagination.